eRacks is proud to donate a 2U aluminum rackmount server to replace the old web/mail server currently in use by OCLUG. It was built from New Old Stock parts, and installed with RedHat Linux 9. It represents at least a 4-fold increase in server capabilities for OCLUG. 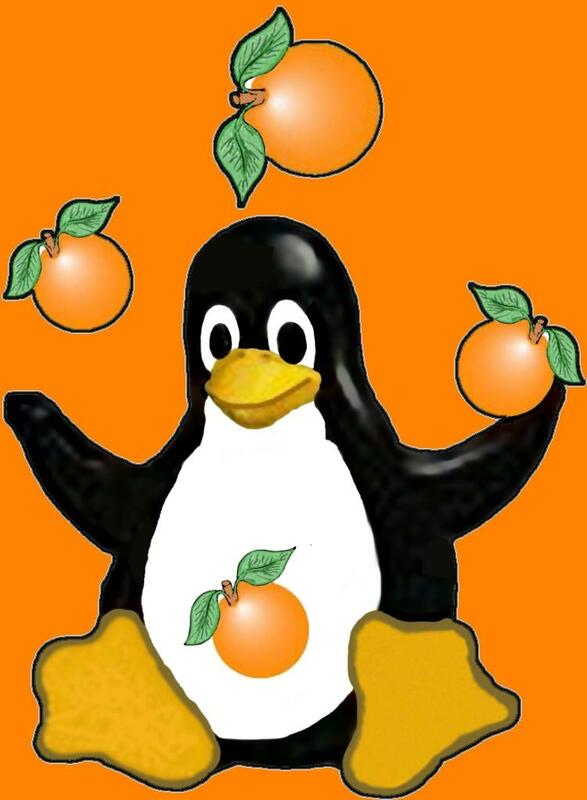 Coming Soon: Southern California Linux Expo! 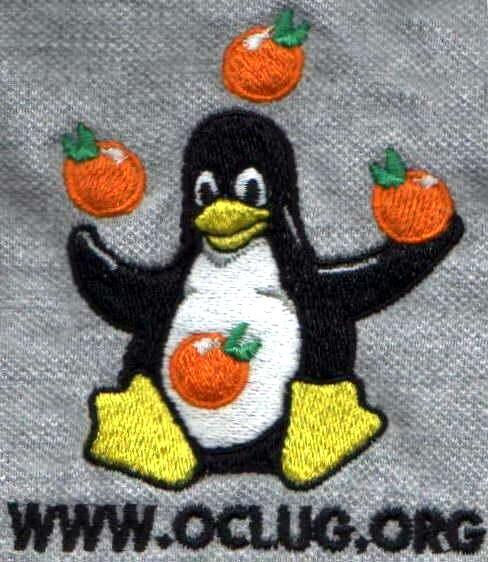 OCLUG will be running a booth at the upcoming Southern California Linux Expo. SCALE 2x will be at the Los Angeles Convention Center on November 22. We have finally arranged to get custom embroidered polo shirts made up for our group. 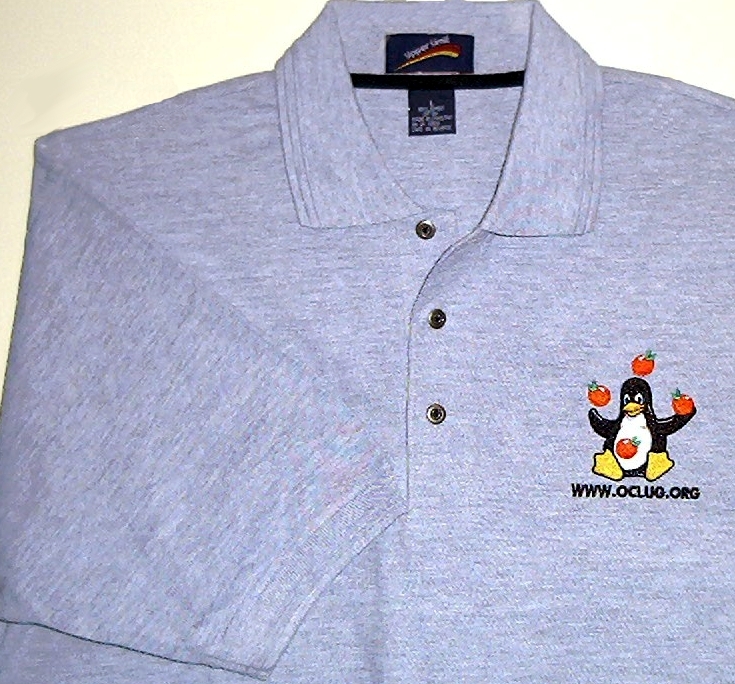 They will be worn by the volunteers at Linux Demo Day, but they can be useful for other things as well. You can wear one to work on "casual" days, or to school if you go, or to the meetings of course. Currently we are ordering only grey shirts, but after Linux Demo Day we will get together another batch of orders and get other colors, and the choices will be announced then. If you would like to order one, and are part of the group, please email us and let us know. We now are running the mailing list on our own listserver! It is run on the same Linux machine as the website, and the software used is Mailman. Many thanks go to Kevin B. our leader, Todd L., and Steve S. for setting this up for us. Please SUBSCRIBE to the list. The subscription process is the same as our main mailing list. Be sure to attend. These demos were scheduled for last month's (June) meeting but because of various reasons they had to be postponed to this month.